Sport and physical activity are central to the fabric of life in Ireland. As citizens of this state, people with disabilities have a right to be active within their local communities. In our efforts to truly understand what it is really like for a person with a disability to be active in Ireland, we carried out nationwide focus groups with people with disabilities and parents of children with disabilities. We engaged with 140 people across 22 counties, who were both active and inactive, and asked about their experiences, challenges and needs in relation to their participation in sport and physical activity. From the vast feedback we received, we have developed the Sport Inclusion Disability Charter, which clearly outlines the five key areas people with disabilities are asking all organisations to consider in making active and healthy lifestyles possible for them. Click here to hear more about some of the people we spoke to, and how they stay active. For more information, download our guidelines here. What will you get by signing up? 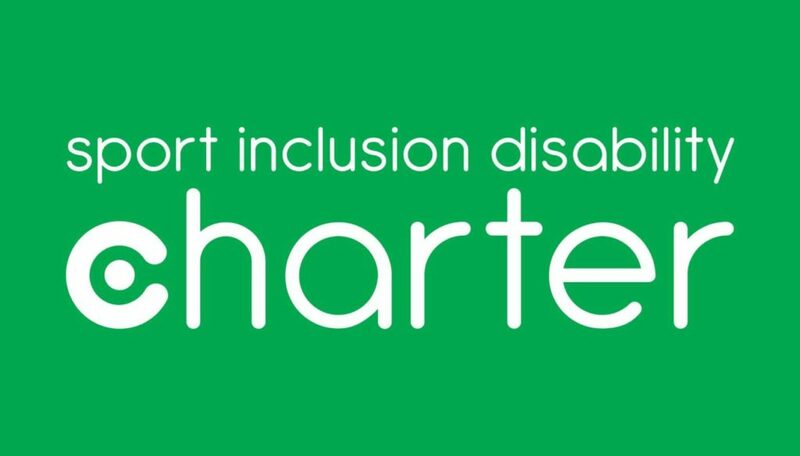 By signing up to this Charter, you are committing to listening to the needs of people with disabilities, and looking at how your organisation can be more inclusive. Please upload a high resolution jpeg or png of your logo. Please indicate if you could like to receive information via email about future training opportunities, upcoming events, news and relevant information relevant to sport, inclusion and disability.